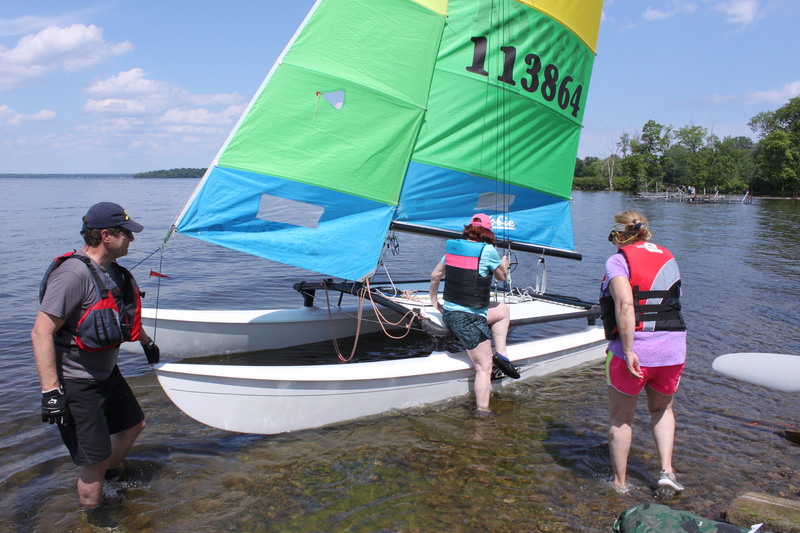 If you would like to still like try out a Hobie Cat sailboat on Oneida Lake this summer, join us on Newbie Tuesdays! Hobie Cat Fleet 204 has created a night just for people that are new or don’t have much experience sailing. Join us on Newbie Tuesdays for sailing fun! Who: Anyone wanting to try out Hobie Cat Sailing with an experienced Fleet Skipper. Or if you have a used Hobie sailboat you need help rigging and checking over. We start at 6pm,show up anytime after 5:00. If weather looks threatening, we can do a chalk talk. We usually sail. Where: Therre’s Marina, 6695 Lake Shore Rd., Cicero, NY, across from the Lakeshore Road Baptist Church. Please park behind the church, left side, towards the back. How: To RSVP your participation, please place a response by noon or sooner every Tuesday on our Fleet website, Forum Page. It helps if you tell us you want to participate to make sure we have enough skippers and boats available for everyone. Bring your water gear, beach/water shoes, PFD, bathing suit, towel, windbreaker, etc. Early in the season it might be a bit cooler, If it is windy, you’ll get splashed. You are welcome to bring a friend(s). Let us know how many. Be ready by 6pm if possible to get on the water. You can park in the Church’s lot on the left side towards the back. Cross the road carefully and come down our driveway. If you have a Hobie Cat sailboat and need help setting it up or would like to have us check it out for you come one down on Tuesdays. Let us know on the Forum. Please note, sailing on Newbie Tuesdays is at your own risk and participation. All children under the age of 18 must be accompanied by a parent/legal guardian.